New Delhi [India], Jan 22 (ANI): Fluttering of your heart is not always the sign of love, nor is skipping of a beat. The fluttering could be a sign that you need to pay attention to your heart. So what if your health parameters are more or less fine, but if your heart is not beating right, it is reason enough to see a doctor. Arrhythmias which in other words could be called irregular heartbeats, fluttering, palpitations, and so on, can put you in grave danger, which to say directly can cause sudden cardiac arrest. "Unfortunately, in India, we do not have national registry for cardiac deaths, so it is difficult to predict the number of people dying due to SCDs. But a look at the macro factors removes any doubt whether Indians are at a brink of cardiac emergency," said Dr. Vanita Arora, Director & Head, Cardiac Electrophysiology Lab & Arrhythmia Services, Senior Consultant-Cardiac Electrophysiologist & Interventional Cardiologist, Max Super Speciality Hospital. An India Spend research in the year 2016 showed cardiovascular diseases (CVD) kills 17 lakh Indians yearly. The Global Burden of Disease study estimates 24.8% of deaths in the country are due to CVDs. In the given context, arrhythmias or palpitations stand its own ground as reasonable threat to your heart and life. 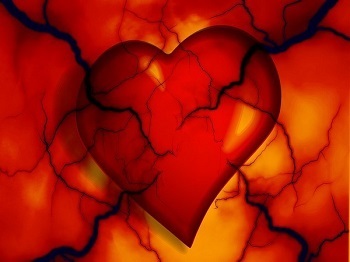 A normal rhythm of heart beating is when the heart is beating around 60 to 100 beats per minute when the body is at rest. When a person exerts extra physical work, is under the effect of some emotional or psychological stimulus or is unwell, the beating of heart will vary. But arrhythmia is much different. It is the change of normal pattern of beating of the heart, which is triggered by any change in the sequence of electric impulses that your heart receives. The functioning of our heart depends on the electric activities which creates the necessary impulses causing the heart to beat and pump blood. Frequent irregularities in the triggering the normal pattern electric impulses lead to cardiac arrhythmia. Multiple factors may lead to the condition, including prevailing cardiac disease, obesity, electrolyte imbalance in the blood, among others. Even irregular heart rhythms have been diagnosed in supposedly normal healthy hearts. There are around a dozen identifiable types of cardiac arrhythmias, which trigger various sensations in the heart. However, some of the dangerous rhythms include when a person is suffering from slow (bradycardia) and fast heartbeat (tachycardia. ), fluttering (fibrillation), skipped heartbeats, or premature contraction. "When heart is not functioning properly for prolonged period of time, it gives rise to a situation that may lead to sudden cardiac arrest, which is different from heart attack. Sudden cardiac arrest means that heart has suddenly stopped functioning due to irregularity of electric impulses, while a person's heart continues to function when suffering heart attack, which caused by the inability for the heart muscles to pump blood," said Arora. Sudden cardiac arrest leads to almost instantaneous death. A person who is suffering from cardiac arrhythmia for a long time is at increasing risk of cardiac arrest as the electric system of the person is not functioning properly. Some of the common symptoms of various forms of irregular heartbeats include, breathlessness, dizziness, fluttering in the chest or irregular heartbeats even in normal circumstances. Other symptoms include chest pain, palpitations, sweating, and confusion. In case the symptoms are recognized, the patient should be taken to cardiac specialist.